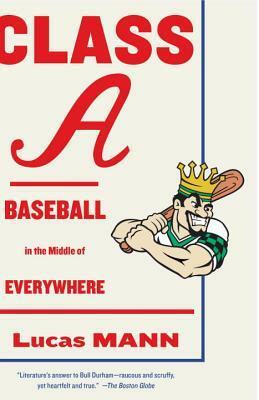 An unforgettable chronicle of a year of minor-league baseball in a small Iowa town that follows not only the travails of the players of the Clinton LumberKings but also the lives of their dedicated fans and of the town itself. Award-winning essayist Lucas Mann delivers a powerful debut in his telling of the story of the 2010 season of the Clinton LumberKings. Along the Mississippi River, in a Depression-era stadium, young prospects from all over the world compete for a chance to move up through the baseball ranks to the major leagues. Their coaches, some of whom have spent nearly half a century in the game, watch from the dugout. In the bleachers, local fans call out from the same seats they’ve occupied year after year. And in the distance, smoke rises from the largest remaining factory in a town that once had more millionaires per capita than any other in America. Mann turns his eye on the players, the coaches, the fans, the radio announcer, the town, and finally on himself, a young man raised on baseball, driven to know what still draws him to the stadium. His voice is as fresh and funny as it is poignant, illuminating both the small triumphs and the harsh realities of minor-league ball. Part sports story, part cultural exploration, part memoir, Class A is a moving and unique study of why we play, why we watch, and why we remember. Lucas Mann was born in New York City and received his MFA from the University of Iowa, where he was the Provost’s Visiting Writer in Nonfiction. His essays and stories have appeared in or are forthcoming from Wigleaf, Barrelhouse, New South, Columbia: A Journal of Literature and Art, and The Kenyon Review. He teaches writing at the University of Massachusetts Dartmouth and lives in Providence, Rhode Island.